The Salesforce Marketing Cloud has seen widespread acceptance. The popularity is owing to the platform’s ability to resolve the pressing challenges faced by marketers, in an easy and hassle-free way. The Marketing Cloud offers tools which allow marketers to understand the customer, and engage with them on their terms. It also goes an extra mile and allows marketers to gain customer experiences, and shape customer experiences proactively. It does all these while facilitating the key requirements of today’s age, such as delivering effective communication, and enabling marketers to do the required thing in a speedy way. 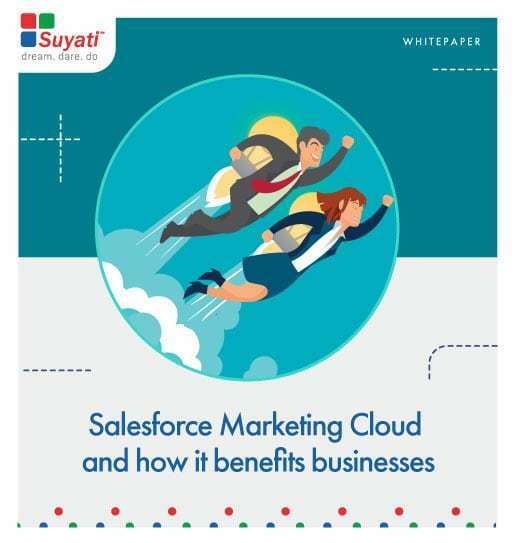 Read on to understand how Salesforce Marketing Cloud enables marketers to do all this and make marketers much more effective. The investment made in the marketing cloud pays back for itself quickly in the form of increased customer satisfaction and better revenues.